This therapy that has more than 5000 years of evolution. Throughout history it has been used successfully in millions of patients. 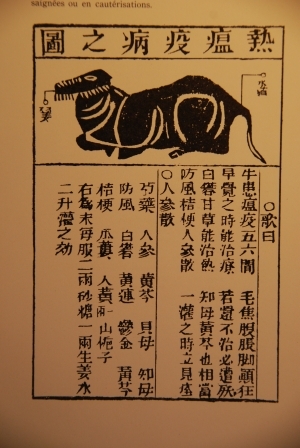 The oldest medical book on earth and still currently used is SO WEI NEI JIN, a book that was written around 2500 BC. 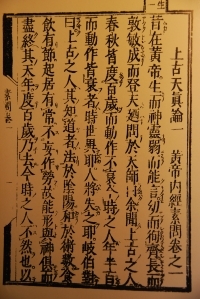 It seems that it is a collection of older books on the subject. The illustration that can be seen is the first page of a modern edition of this book. 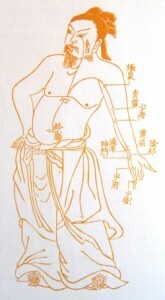 Acupuncture was used not only in China but in all realms of influence, such as Japan, Korea, Vietnam and others, since the seventeenth century in the West. Naturally, every year in all countries dozens of tens of healing techniques are invented and tested to have a real value, endure only those with real value and the rest are forgotten. Acupuncture serves humanity for over 5000 years, being revalidated and perfected in every age. Even being used successfully in veterinary medicine. 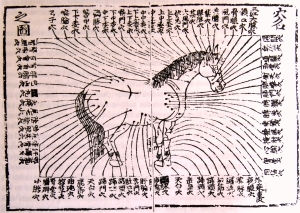 The engraving can see a map of points to treat a horse. 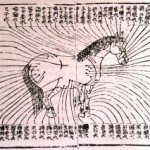 Argument against the supposed power of suggestion of acupuncture. Across Europe, taught at universities in many countries used in Social Security, or is recognized by the state. Finally, the most reluctant institution to accept new therapies, the FDA of the U.S. government made an experience to test the effectiveness of this therapy. In “El País” 10/11/97 on page 33, as the title reads: “The U.S. health authority blesses acupuncture”. An article describing, as after much hesitation, a group of 12 researchers from the National Institute of Health found that acupuncture is really effective and then decided that insurance companies reimburse patients for costs of the treatments done with this technique.